Remember that awesomely cool, state of the art smartphone you got 5 years ago? Probably not. You likely threw it in the drawer where smartphones go to die when you got this year's awesomely cool, start of the art smartphone. 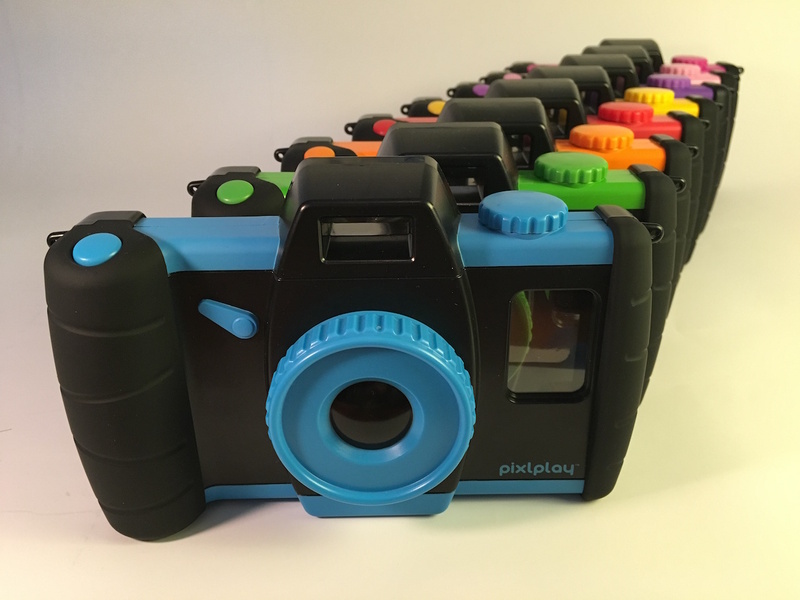 Now Pixl Toys has come up with a way to bring those old smartphones back to life...as a fun 35mm style camera for your kids. The PixlPlay Camera just launched on Kickstarter and we have been spending the last week playing with a prototype of the PixlPlay Camera. If you are a parent of young kids, you probably instantly get the appeal of the PixlPlay Camera. Young kids love gadgets and electronics...but those tiny, food filled hands and constantly moving feet can be a recipe for disaster for delicate gadgets. The PixlPlay secures your phone and keeps things very simple. No apps to install, no pairing, no configuration headaches, put the phone in, plug in the cable to the headphone jack and hand a 35mm style toy camera to the kids. What kid doesn't like taking photos? There is still something magical about freezing your cat, your dog or your sibling on a color screen. Press a button and laugh at the funny photo that appears on the screen. The PixlPlay Camera does not complicate this simple formula for fun, in fact it enhances it. By providing large buttons and knobs you can turn, the PixlPlay Camera lets young kids feel like professional photographers...or even better Peter Parker!